Climate change (CC) is undoubtedly an increasing issue on the agenda of politicians, scientists, mass-media, and academics. The Financial Stability Board (FSB) set up a Task Force on Climate-related Financial Disclosures (TCFD) to establish a set of recommendations for consistent and material “disclosures that will help financial market participants understand their climate risks”. Companies have to adopt serious actions to measure and manage this potential risk that may deeply affect their businesses. 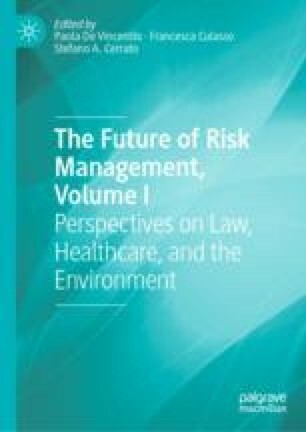 This paper aims at investigating, through the lens of the legitimacy theory, how and to what extent the biggest Italian nonfinancial companies of the FTSE-MIB disclose on Climate change risk, what is the level of depth of their disclosure and their level of preparation and adherence to the TCFD guidelines. Climate Disclosure Standards Board. (2018). Framework for reporting environmental information, natural capital and associated business impacts. Retrieved from https://www.cdsb.net/sites/default/files/cdsb_framework_2.1.pdf. Eccles, R., & Krzus, M. (2017). An analysis of oil & gas company disclosures from the perspective of the task force on climate-related financial disclosures. Retrieved from https://ssrn.com/abstract=3091232. Engel, H., Enkvist, P. A., & Henderson, K. (2015). How companies can adapt to climate change. Retrieved from https://www.mckinsey.com/business-functions/sustainability-and-resource-productivity/our-insights/how-companies-can-adapt-to-climate-change. International Investors Group for Climate Change. (2018, June). Statement from the coalition for higher ambition. Retrieved from http://www.iigcc.org/publications/publication/iigcc-joins-businesses-and-civil-society-to-call-for-greater-eu-climate-amb. ISO—International Organization for Standardization. (2018). Risk management ISO 31000. Retrieved from https://www.iso.org/iso-31000-risk-management.html. Task Force on Climate-Related Financial Disclosures. (2017). Recommendations of the task force on climate-related financial disclosures. Retrieved from https://www.fsb-tcfd.org/wp-content/uploads/2017/06/FINAL-TCFD-Report-062817.pdf. Testa, F., Todaro, M. N., Iraldo, F., Gasbarro, F., & Ianna, R. (2017). Assessing climate change mitigation and adaptation efforts in the Italian industry: The results of an explorative study. Italian of Environmental and Protection of Land and Sea. Retrieved from http://www.minambiente.it/pagina/marrakech-partnership-global-climate-action. United Nations Framework Convention on Climate Change. (2018). The Paris agreement. Retrieved from https://unfccc.int/process-and-meetings/the-paris-agreement/the-paris-agreement.